Today I hosted a girls brunch and spent a very enjoyable day talking (and talking) about everything we could think of, sipping mimosas and eating a low-key (but delicious) menu. I served a platter full of a trio of green, red and black grapes, pumpkin-chocolate chip muffins and this quiche. Add mimosas and its a party! Best of all, it's so easy that I get to enjoy the party too. Thanks Mo, Chrissy, Mel, Julie, Kathryn and Lorene (hope I spelled that right!) for coming! Scald cream, then remove from heat and stir in cheese until melted. Let stand 2-3 minutes. Add other ingredients, then mix in eggs 1 at a time. Stir well to incorporate. Spray a pie pan with olive oil (or rub with oil) to prevent sticking, then pour in quiche mixture. Top with tomatoes, then sprinkle with grated Parmesan. Bake at 350 for approximately 30-45 minutes or until set in the center and slightly browning on top. Let stand 10 minutes or so before serving. Can be served warm, at room temperature or chilled. I love brunch! It's my fave meal, there are no rules and it always involves champagne. That's can't be bad! 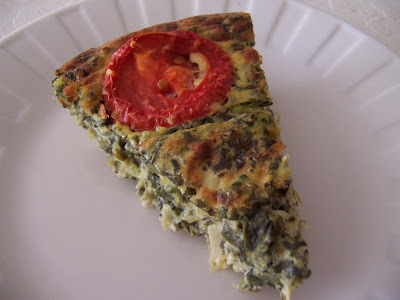 Yum, it is like spinach artichoke dip in a quiche! BTW...love that you baked muffins. It was all so delicious! I'm already looking for an occasion to make this quiche! Thanks for a fun party! Kirsten--this sounds great! Spinach, artichokes, cheese... Yesterday Marion and I had quiche for lunch at Chicago's fabulous, always buttery-smelling Sweet Thang. I said then that I would like to try making quiche. I don't bake a lot, so crust is kind of daunting. This would certainly be a simpler alternative. One question: You add the eggs one at a time--I'm assuming you beat them first, yes? Peabody...thought you would be pleased that I baked! Thanks Mo!! So glad you could make it. Hi Terry, I know re: crust and baking, which is why I adore this recipe and have been using it for years. Honestly, it is so forgiving that you can just dump the eggs in (one at a time or all together) and stir up and be done with it. I tripled the recipe for my brunch and put 9 (NINE!) eggs in all at once (not beaten!) and stirred and it still turned out great. It's very hard to screw up, which is perfect for entertaining and for brunch. I love brunch as well and this quiche is a perfect guest! Great food and conversation...a perfect way to start the weekend! 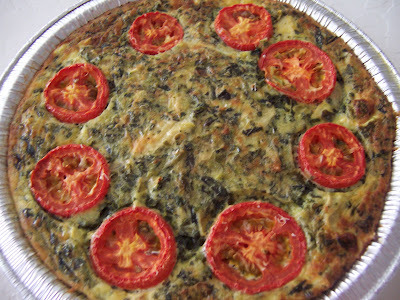 I love quiches and haven't tried a crustless version yet. Both the quiche and muffins look great! Hey...about our trip to AZ. 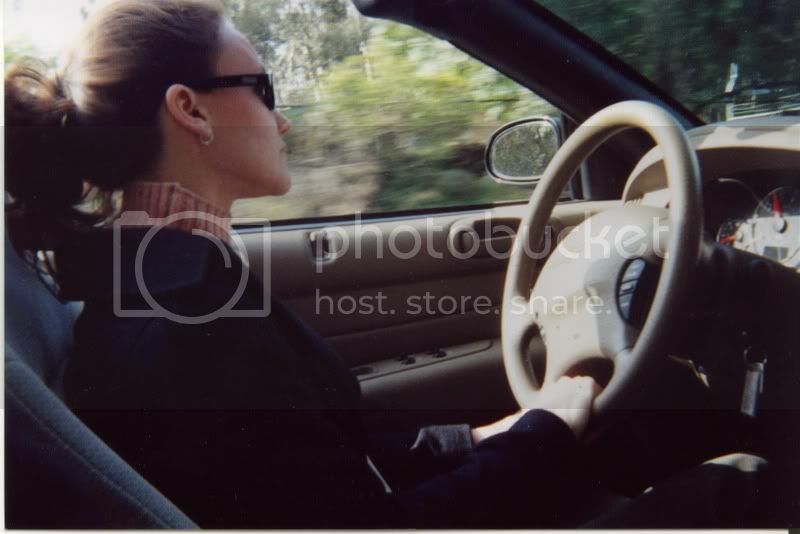 I so thought about getting a hold of you but I honestly didn't know what our itenerary would be like and with one car among the six of us, I wasn't sure how it would work out to head out to see you! I do have to say...we ate some GREAT food. One place that I crave here is Zipps bar and grill. They had the best fries ever! We also ate at Dos Hombres and I had a yummy dish there, as well as a few tasty margaritas!